Haven't heard of Lola Makeup? 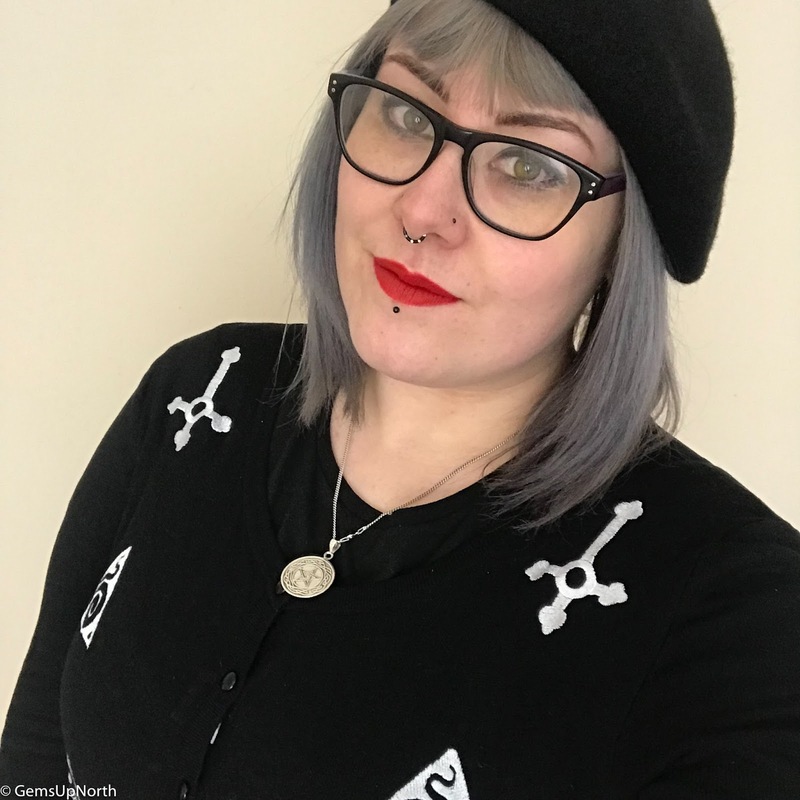 Let me introduce you then... Lola Makeup is a British designed makeup company providing professional, cruelty free and creative makeup products for everyone! From face products to nail polish to beauty tools, Lola has everything you need to complete your makeup collection. 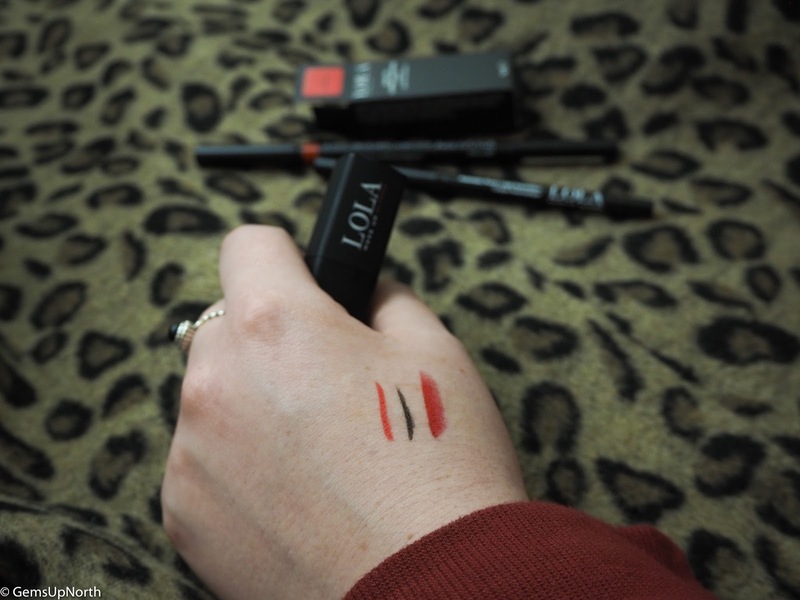 Recently I was sent a couple of Lola Makeup products to sample and I've been using them for a few weeks now. I was sent a matte lipstick*, a lip liner * and an eye liner*; this is basically everything I need to create a simple yet bold makeup look. I love a good red lipstick, it can make a boring outfit really stand out and its bold yet wearable; personally I think everyone can rock a red lip look. This Red Velvet shade from Lola leaves a beautiful matte finish that stays, I managed a whole meal including a burger and didn’t need to reapply; this is super impressive! The shade is a bold and bright red and works perfectly with my pale skin tone. Wearing this lipstick has been comfortable, long lasting and it was easy to apply plus no drying out my lips which sometimes happens with matte lipsticks. The first thing that impressed me with this liner was that on the other end of the pencil was a lip brush, how handy is this? The brush made touching up mistakes and blending in so much easier as I didn’t need to reach for another tool. 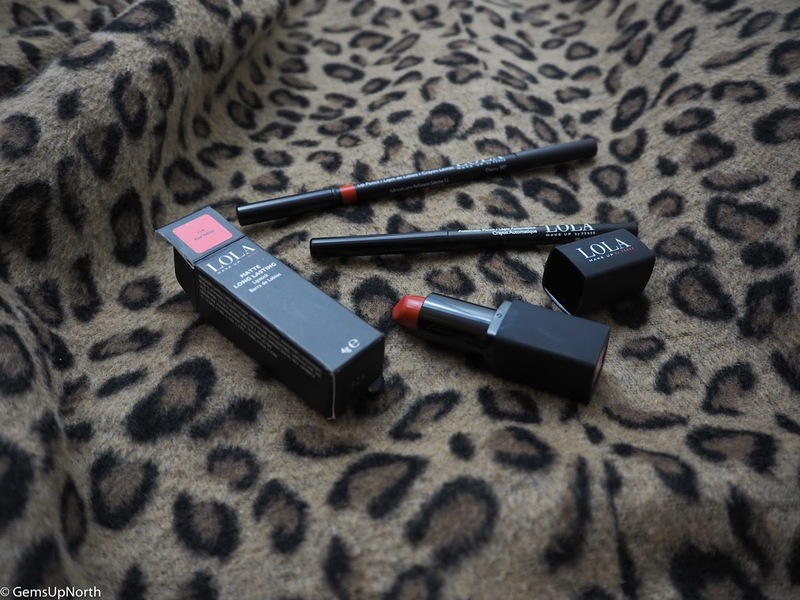 The liner is a great match for the Red Velvet lipstick and smooths onto my lips easily. The pencil is soft yet dense enough not to break or smudge when applying and leaves my lips lined and ready for lipstick. Personally wearing lipstick means wearing a liner, there’s very few times I'll wear lipstick without applying liner first so it’s always good to find a good shade match; Lola have got it in the bag with these two! I can never have too many black eyeliners, I wear it almost everyday and use a few different styles too. This Lola liner is a twist up pencil style which means no sharpening needed and it’ll always have a point on the end. I found the liner is quite soft when I applied so I’ve been using it to line my upper lids then smudging it out for a smokey eye and applying on my waterline as an everyday makeup look. I personally wouldn’t use this style of liner for a winged liner look as I prefer a liquid product for that; maybe I’m just not eyeliner skilled, ha. The liner is long lasting and when used as a smokey eye I didn’t need to reapply at all but my waterline did need a top up throughout the day but that’s the case with most anyway. 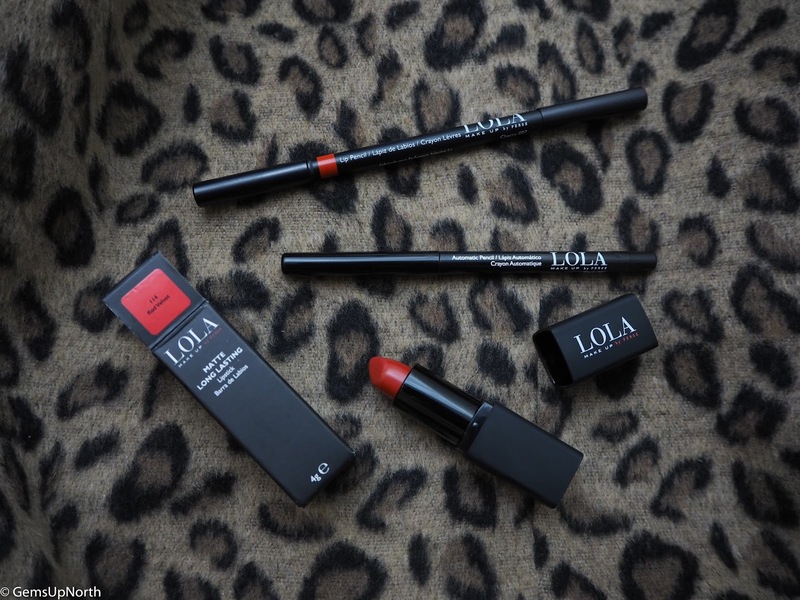 It’s been fun to sample Lola Makeup and I was pleased with the products I was sent as they was everyday products. I’ve been able to wear them quite a few times in the past few weeks and I will continue to wear the lipstick especially as I love the red shade! Have you tried Lola Makeup? *PR Samples - all thoughts/comments are my own, see my disclaimer for more information.